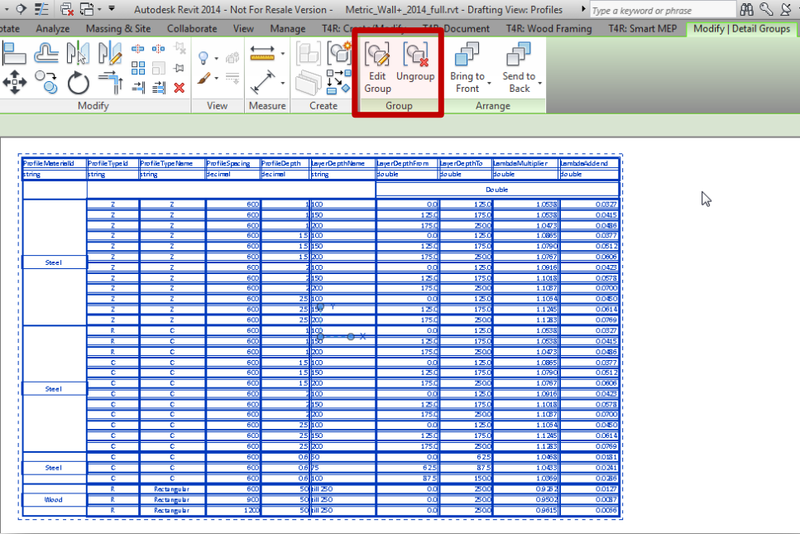 Almost anything you can create in Excel can be imported into Revit with Excel2R add-in. Please note, that there are similar tools in the market that are a couple of times more expensive. With that in mind, consider it as a smart investment which will save you a lot of time and make your workflow smoother and project documentation well organized. 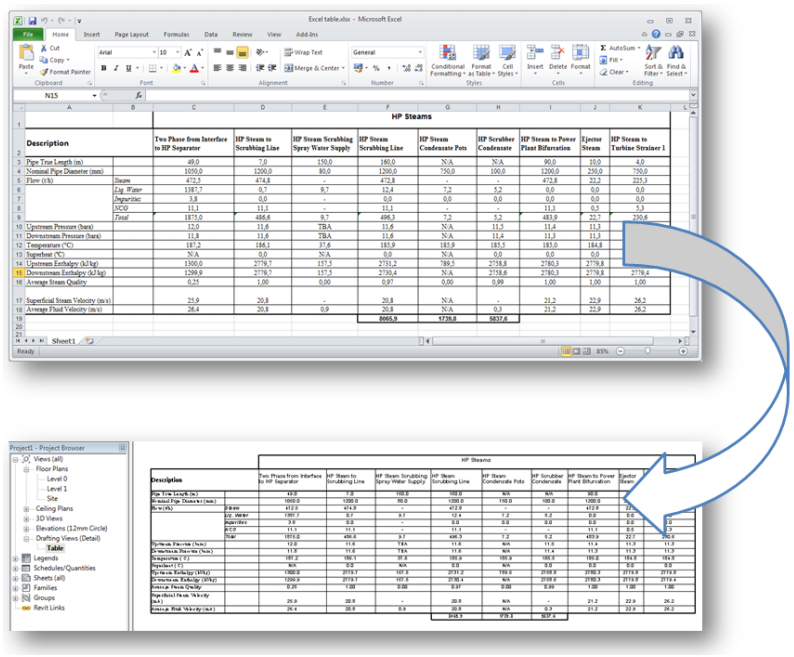 One of the best things about Excel2R is that data between MS Excel and Revit documents is linked; therefore tables constantly keep current information. Such data can be synchronized with the original MS Excel spreadsheet at any time. The Excel2R add-on keeps a strong link between MS Excel and Revit project, and location of the imported MS Excel file is stored in Revit project. Another great thing is that this add-on has a possibility to control design settings, so you can keep the style of Cell width/height, Text size/font/style per cell, Alignment within the cell, Merged cells, etc., that were used in MS Excel. 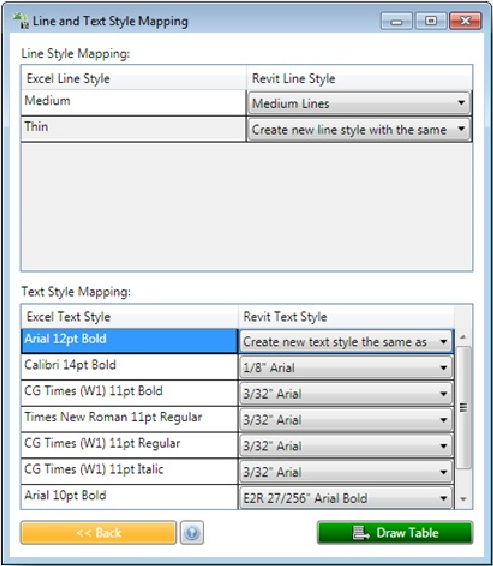 You can also use Revit Text fonts and Line Styles instead of those created in MS Excel by mapping them, in order to make the styles match. Furthermore, created data (lines and text notes) are grouped with Revit Group function, so you can modify it directly in Revit. Also, you have an ability to change mapping settings for an existing table and recreate it, so you won’t have to waste your time by importing and going through the same process all over again. Moreover, Excel2R prevents errors by informing the user when the MS Excel file was modified and will be updated in Revit project, or if the original MS Excel file was deleted or moved to other place. Of course, tables can be created not only in MS Excel, but other commonly used software, like MS Word or AutoCAD. In this case, note that if you have an existing table in MS Word, you can copy and paste it into MS Excel, and if you have an existing table in AutoCAD, you can export it to MS Excel. As you can see, Excel2R is a brilliant and easy to use AGACAD tool for importing and managing MS Excel information in Revit projects. Architects, Structural engineers and MEP engineers can spend their valuable time on work that creates value and be sure that their information is always up to date, so don’t hesitate, try this tool and experience its benefits yourself.